Contains all the Tools Necessary for most around the office projects. 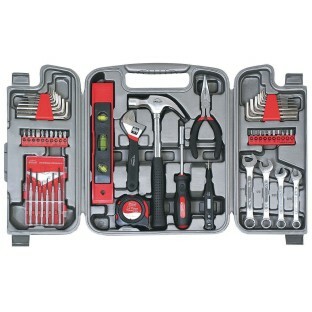 Tools are heat-treated and chrome plated to resist corrosion. Tools are contained in a sturdy blow molded case with a built-in carrying handle for convenient storage.